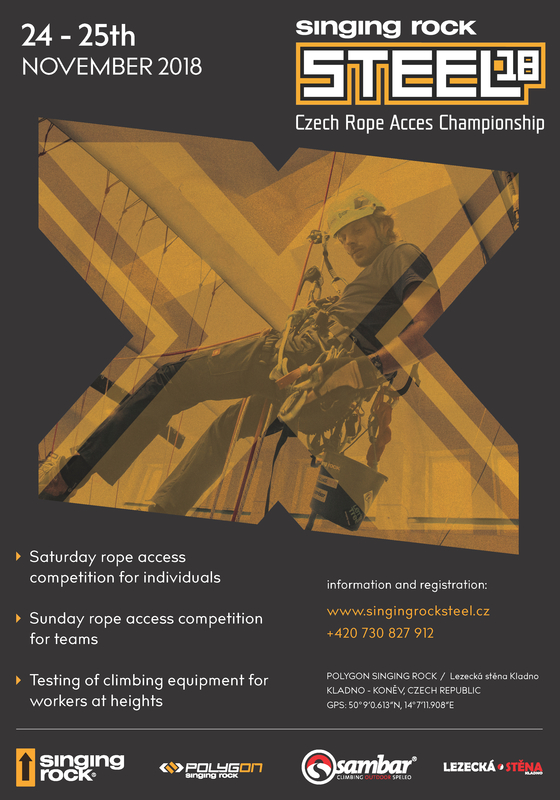 SINGING ROCK and SAMBAR invite you to the Singing Rock STEEL industrial rope access competition which is organised as an open Czech championship. The event takes place in our POLYGON Training Centre in Kladno, Czech Republic, on 24th-25th November 2018. Singing Rock STEEL is an unique rope access competition. It provides a great opportunity for workers at height, firemen, rescuers, speleologist and also experienced amateurs to compare their strengths and skills. Singing Rock STEEL is one of the biggest contests of this kind in Europe and the only one in the Czech Republic and contestants come from many different countries. 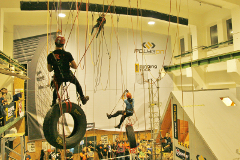 The competition will take place at training facilities for rope access technicians Polygon Singing Rock and a climbing gym attached to it, in industrial part of town Kladno (25km from Prague). The competition will follow it’s tradition and will give a chance to individuals on Saturday and to team on Sunday to show their best skills and try to win. Between the two race days will be a big party, full of fun, chatting, drinking and dancing.